No recycled floor plans or preconceived notions. With Advance Design & Construction, your true custom home is designed and built according to your input, ideas and inspiration – to the last detail. 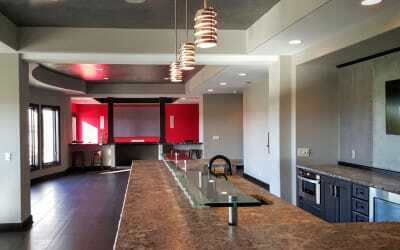 Our design/build philosophy allows us transform even your most ambitious wishes into actuality. Our design/build philosophy does more than change the aesthetics of a room. Reimagine, repurpose and transform your space with ADC. ADC Restorations bring style, resources and craftsmanship that makes the process as attractive as the finished results. Make coming home feel better than ever. We’re professionals who love what we do – and are recognized for our skills and expertise. We’re also great to work with, which is good to know when a true custom home means a close working relationship for months. If you’re ready to talk about your custom home, reach out to us today.